The president of the Cabinet Makers Association, Matt Krig, is expecting many woodworking shops to finally make the leap into new technologies, or to replace their aging equipment. “Most CMA members are optimistic,” he says. “A lot of guys bought a lot of things at the show (IWF) and are at the point of making significant investments (in new technology).” Not only are they projected to invest in capital equipment, but woodworkers are predicted to expand their product in knowledge in plastics and other non-wood products. The demand for mixed medium projects, especially in the housing market, is on the rise and shops are adapting. With the increased popularity of cable networks such as HGTV, many customers are becoming more demanding when it comes to projects. They want shorter project times and lead times. Matt Krig also notes that there could also be a skilled labour shortage as those companies investing in technology require employees that are trained. In an interview with Cabinet Marker FDM, Gene Wengert, a wood technologist and a consultant to the woodworking industry, sees an interesting convergence of trends that will likely lead to higher lumber prices in the coming year. The lumber industry faces a shortage of sawmills and logging crews because many went out of business during the recession. “A third of them are gone,” says Wengert. But then there is another factor that most in the woodworking industry might not think about. “The big one is the tremendous need for railroad ties,” says Wengert. He explains that the increase in domestic oil production fueled by shale oil development and fracking has increased the need for fuel transport by rail since there are not enough pipelines. 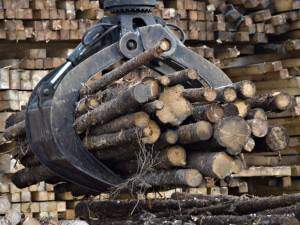 That will increase the financial incentive for existing sawmills to saw more lower grades of lumber for railroad ties, which will create a shortage of those grades in the general lumber stream. “The price will go up in all grades,” says Wengert. “We may have a 50 percent increase. We have to learn to be more efficient then we are now so we create less waste.” Companies will need to put more emphasis on how lumber is cut and graded, as well as confirming they are being supplied with the right grades and footages. “When you check grades and board footage, it’s amazing how often it is off,” he says. According to the Woodworking Network, the latest developments in advanced CNC machining centres have made 5-axis technology more accessible to the average woodworking shop. 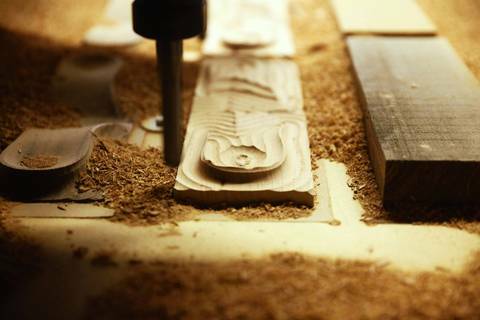 With the lines continuing to blur between CNC routers and CNC machining, 5-axis technology on a point-to-point router, for example, can give woodworkers the ability to manufacture high-precision and complex shapes and components. (If you’re interested in 5-axis, might we suggest checking out our 8000 Series Router). As with many industries, reshoring activities in the woodworking and furniture making industries is estimated to continue. According to the Woodworking Network Almanac, 15% of new US manufacturing jobs between 2010 and 2013 were previously overseas. A stronger economy, the inflation of foreign currency, and a boom to the North American housing market have all contributed to companies choosing to manufacture on this continent, rather than look abroad. 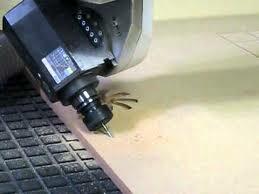 Dedicated Impex is leading gear cutting tools Manufacturers Company in India, we are manufacturers and suppliers of gear cutting tools, CNC router bits, keyway broaches, router bits and slotting cutters in all over India. That can enhance the personal motivator intended for recent sawmills to help discovered far more cheaper degrees connected with raw wood intended for train connections, that'll make a general shortage of the people degrees from the normal raw wood mode. logged on more My blog.